Do you want more options from the Windows Start menu? 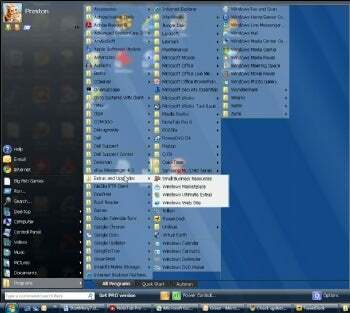 Despite its name, OrdinarySoft's free Start Menu 7 works with Windows 2000, 2003, XP, and Vista, not just Windows 7--and for power users, it's a useful upgrade to any of them. It replaces your start menu with a new one that gives you faster access to files, programs, and folders. Start Menu 7 is a busy--but powerful--alternative to the traditional Windows Start menu. Note that Start Menu 7 won't be to everyone's taste. It's far more cluttered than the normal Start menu, and so those who like simple interfaces will not be pleased. But if you're looking for an alternative to the Start menu, it's worth a try.